Both the suicide rate and unemployment rate have showed an upward trend in Taiwan since 1994. This study aimed to explore the association between the suicide rate and the unemployment rate. This information is useful in developing specific suicide prevention strategies related to unemployment. All the cases of suicide by those aged 15 years and above during 1978–2006 in Taiwan (n = 74,064) were included in this study. 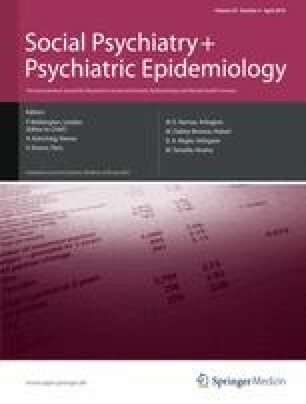 Time series models were used to analyze the monthly age-standardized suicide rate by gender and age-subgroup (15–24, 25–44, 45–64, and 65+). With regard to the age range and gender subgroup, the association between age-standardized suicide and the unemployment rate was comparatively high for males and those aged from 45 to 64 years. Among males and those aged from 45 to 64 years, a 1% increase in the absolute unemployment rate was associated with a 4.9% (95% confidence interval: 1.7–8.2) increase in the relative age-standardized suicide rate in the monthly average from 1978 to 2006 in Taiwan. Suicide prevention strategy for the unemployed should be more focused especially on males aged from 45 to 64 years in Taiwan.